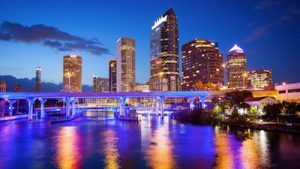 The Society for In Vitro Biology is excited to welcome you to sunny Central Florida to participate in the 2019 In Vitro Biology Meeting from June 8–12, 2019 in Tampa, Florida at the Tampa Marriott Waterside Hotel & Marina. With their quiet and intimate nature, SIVB meetings are truly memorable events that let you delve deep into the current discoveries and new directions of in vitro plant and animal biotechnology. Benefit from our experienced members and invited speakers by both attending the symposia and presenting your work. This is an extraordinary event you won’t want to miss! Attend sessions on cutting-edge science and the latest developments in the field. 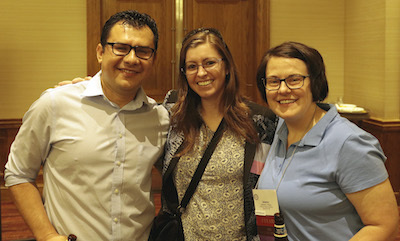 Build professional connections with peers from around the globe that can last a lifetime. Talk one-on-one with leading experts in a friendly atmosphere. Present your work to some of the most respected names in the field and receive feedback on your research. Participate in social events and scientific tours before, during and after the program. What makes an SIVB meeting special? Plenary Symposia, Symposia, Contributed Papers, Interactive Poster Sessions and Poster Sessions built to work together on topics to enhance your research & professional growth. Numerous educational opportunities offered to students and post docs to enhance their career development along with significantly discounted registration rates to attend. Lots of networking events offered in an intimate atmosphere where you can have in-depth conversations. No getting lost in the crowd! The warm and friendly environment which will allow you to create new connections, make new friends, and discover new knowledge to inspire your scientific pursuits.